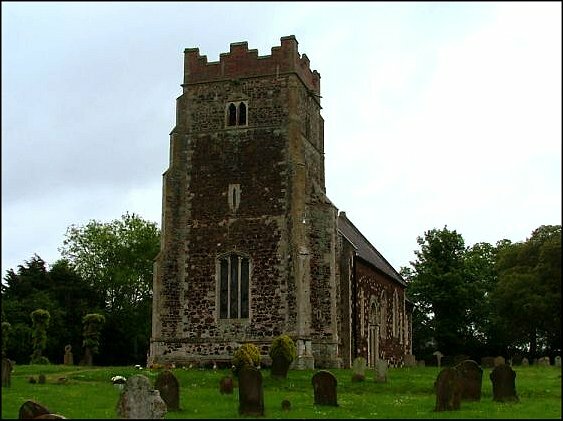 On the map, we appeared to be on the northern outskirts of the town of Downham Market (not as interesting as Swaffham - Pevsner) but in reality Wimbotsham is a lovely little village, set off the main road and a sister to the more famous Stow Bardolph across the A10. 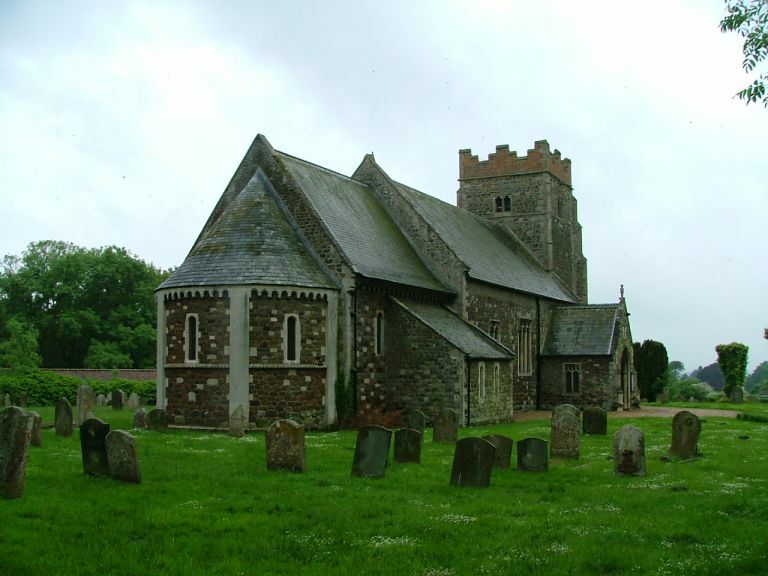 The two churches are also similar, with chunky carstone towers looking as if they were made of gingerbread, and substantial Norman-detailed naves with 19th century chancels. 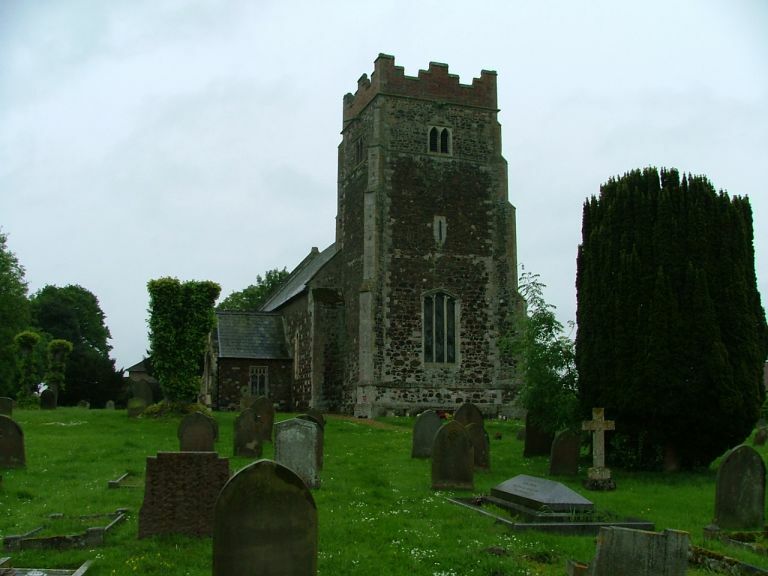 Wimbotsham doesn't have the massive and extraordinary Hare mausoleum that graces Stow Bardolph, nor anything as famous as the effigy of Sarah Hare, but here is a delightful and interesting church which is at once open and welcoming. 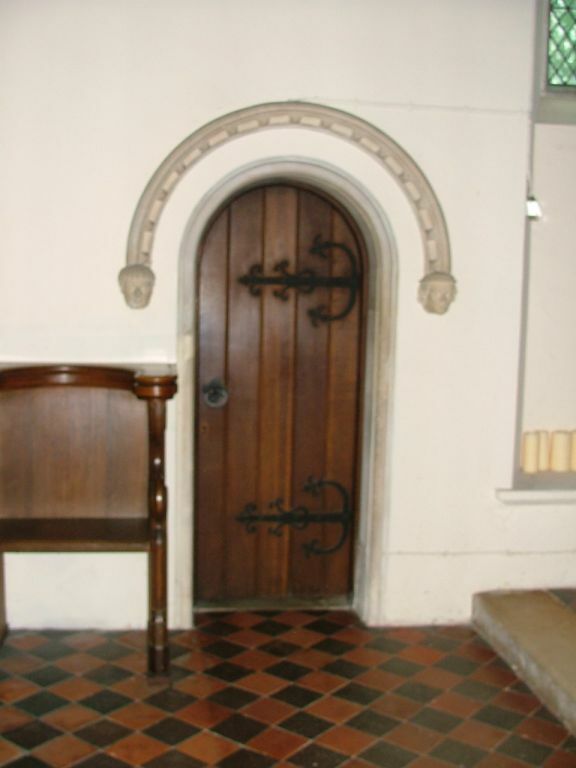 Before going in, make sure you see Wimbotsham's greatest asset. 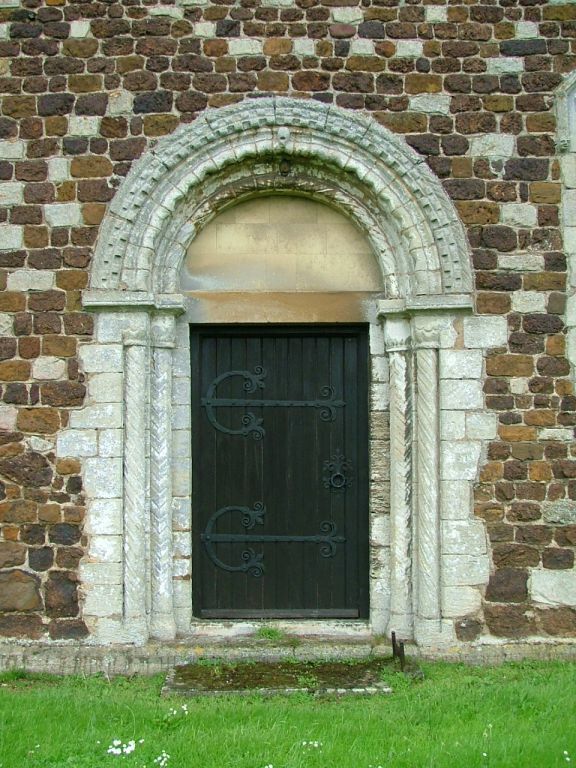 It is around on the south side of the church, away from the road, one of the most massive Norman doorways in west Norfolk. 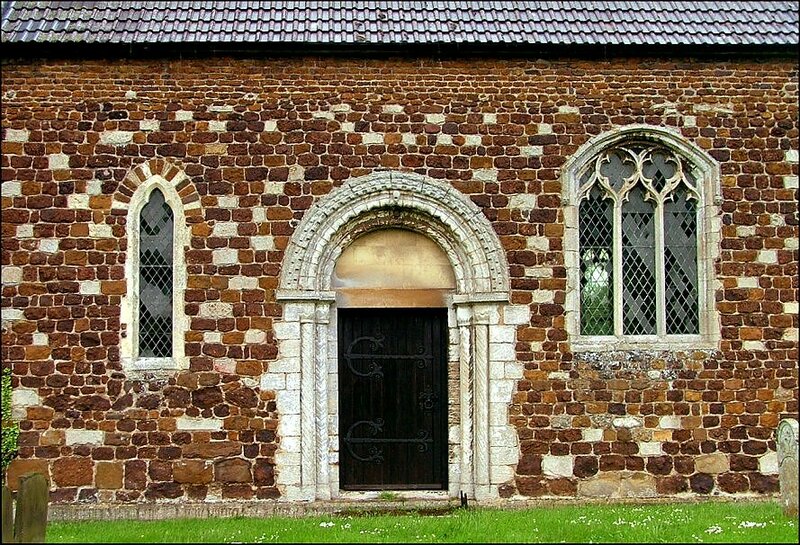 It utterly dominates the south side, contrasting pleasingly with the carstone wall and windows. 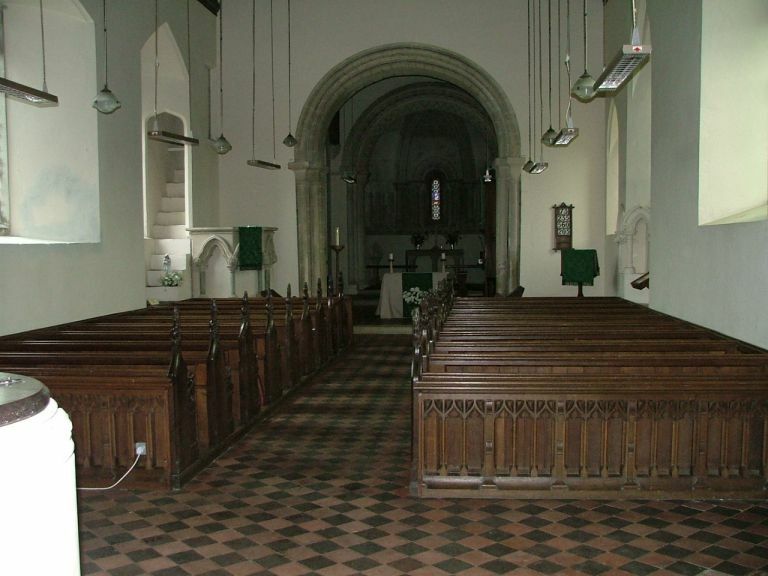 Its shape is not discernible from inside the church, and I wonder how many people miss it. 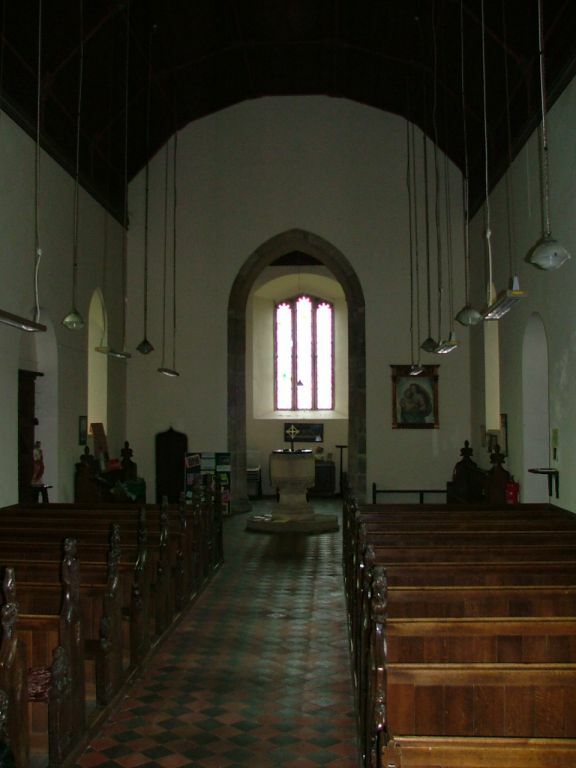 You step inside to the feel of a church that is overwhelmingly 19th century in character, a less stark version of the same thing at Stow Bardolph. 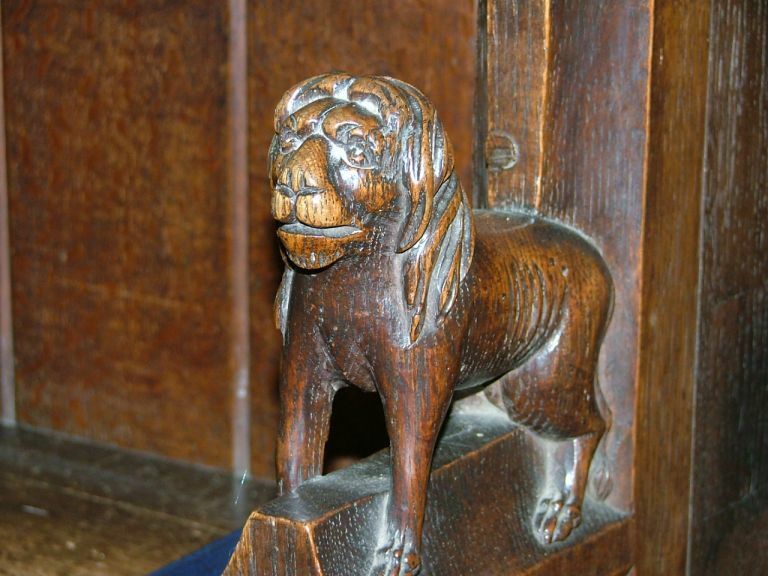 I assume that the restorations are near-contemporary and by the same hand. 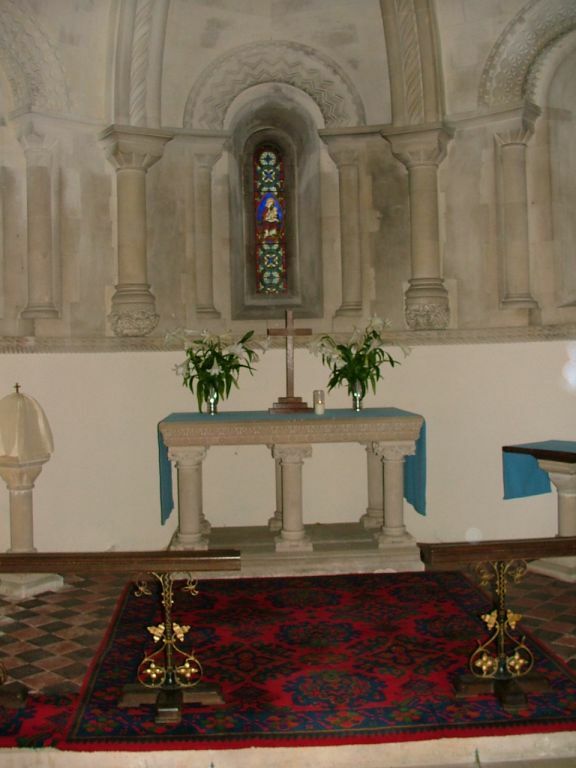 Part of this is the simple beautiy of the east end, an apse formed at the end of the chancel to create the illusion of a crossing tower. 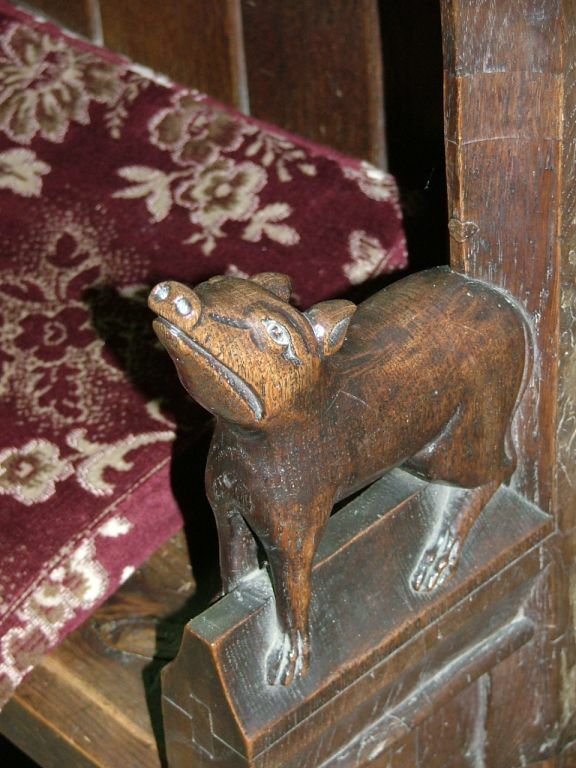 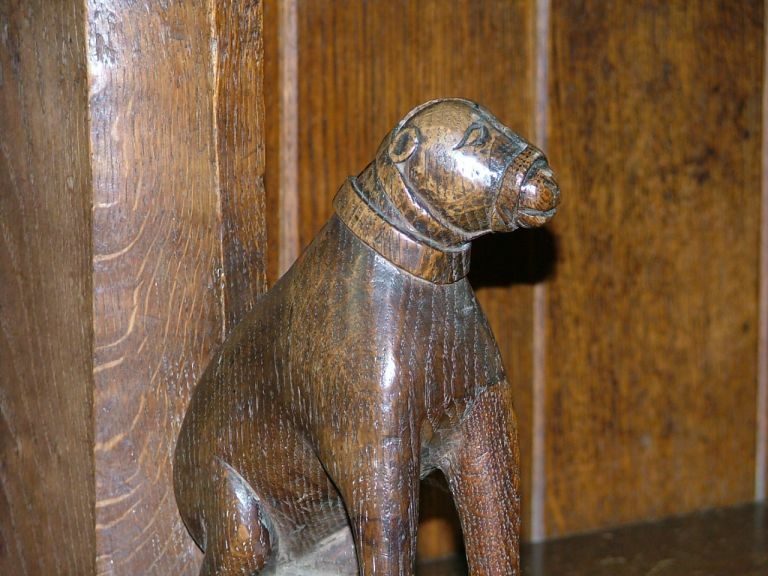 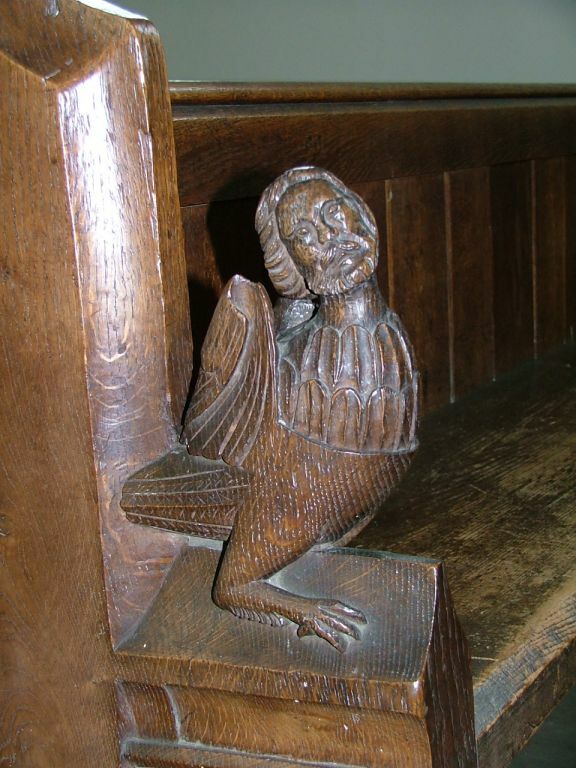 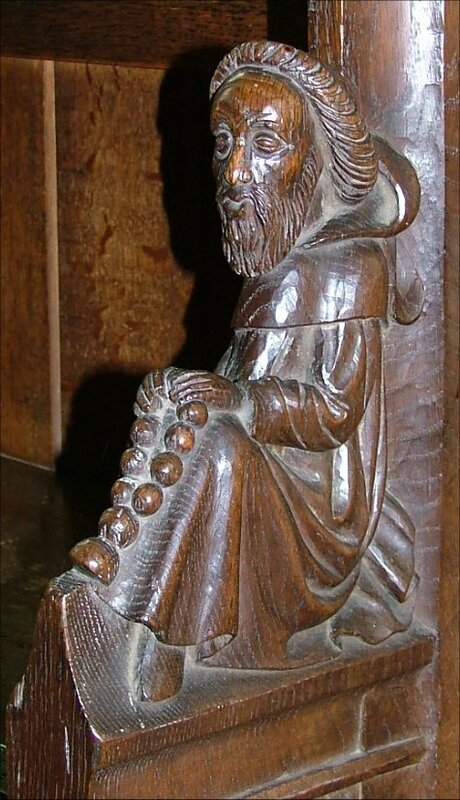 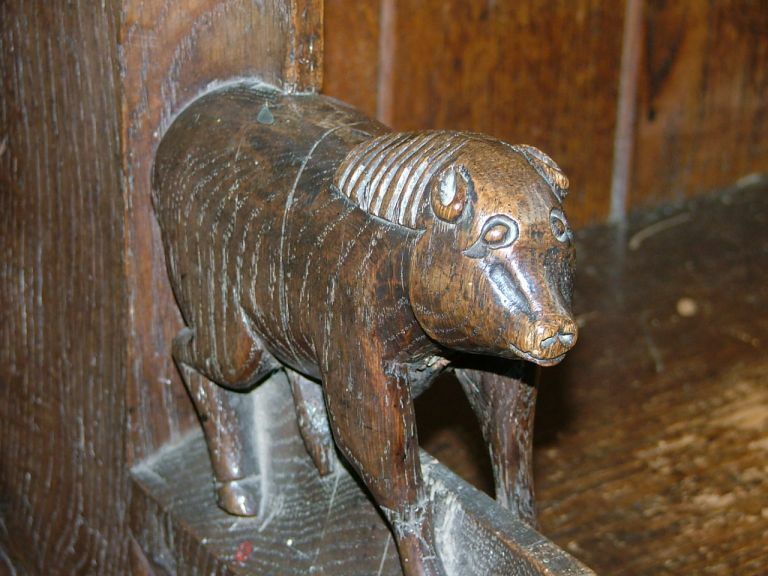 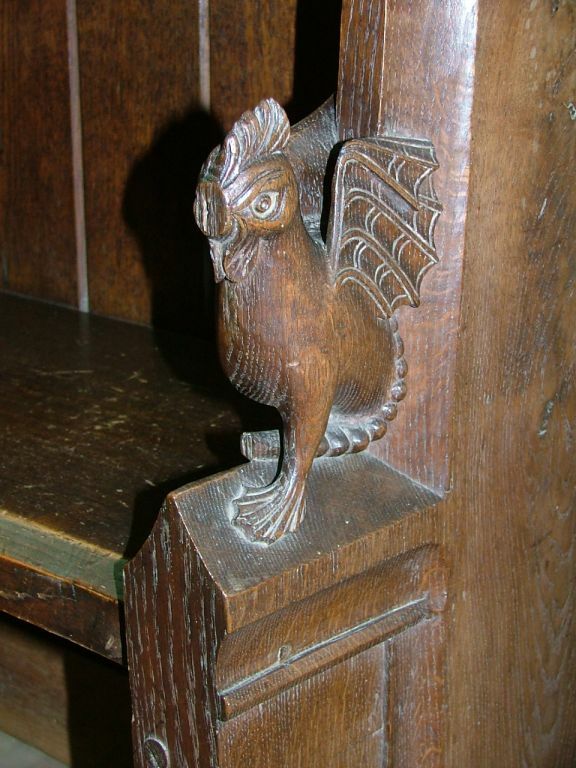 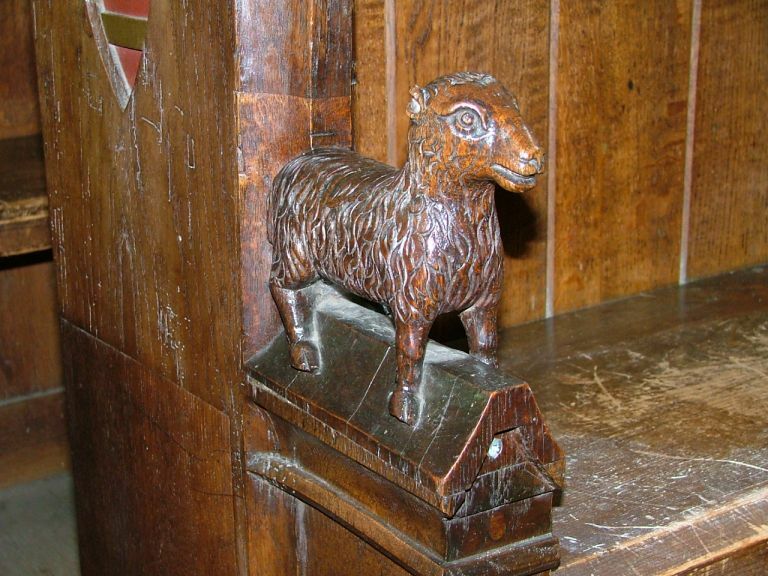 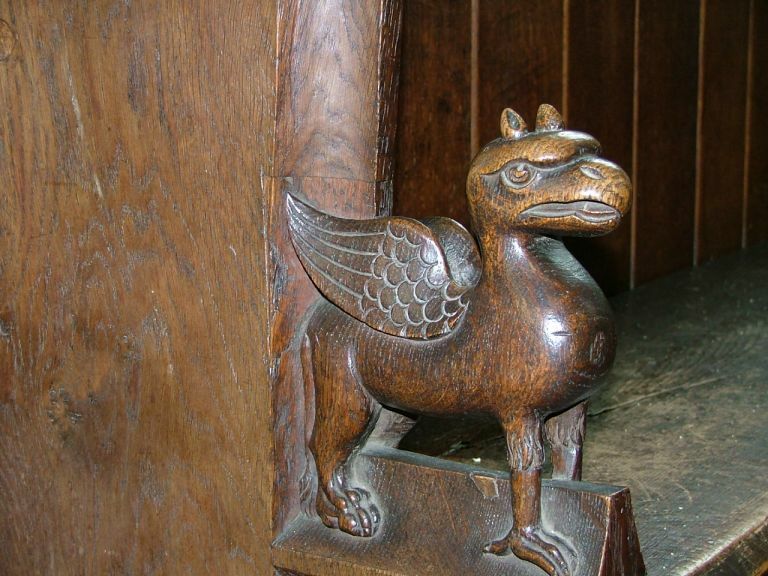 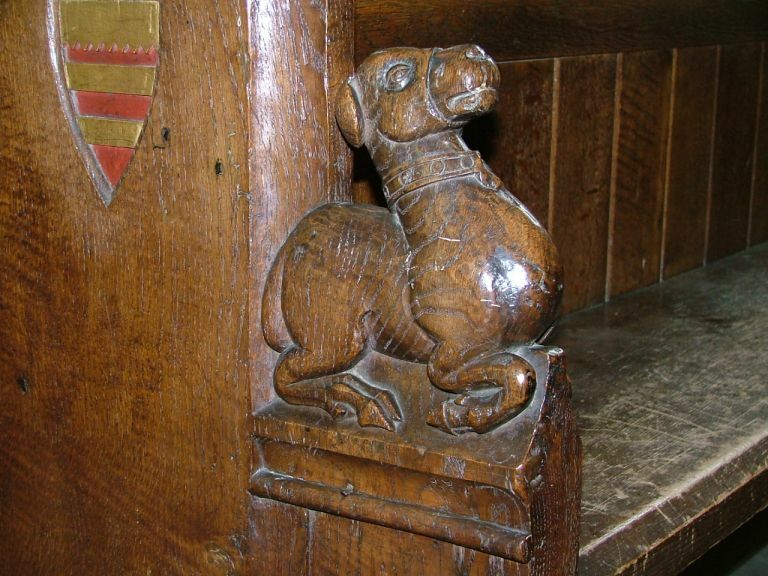 Also, there are the wonderful bench ends, very much in the Suffolk style of the 15th century. 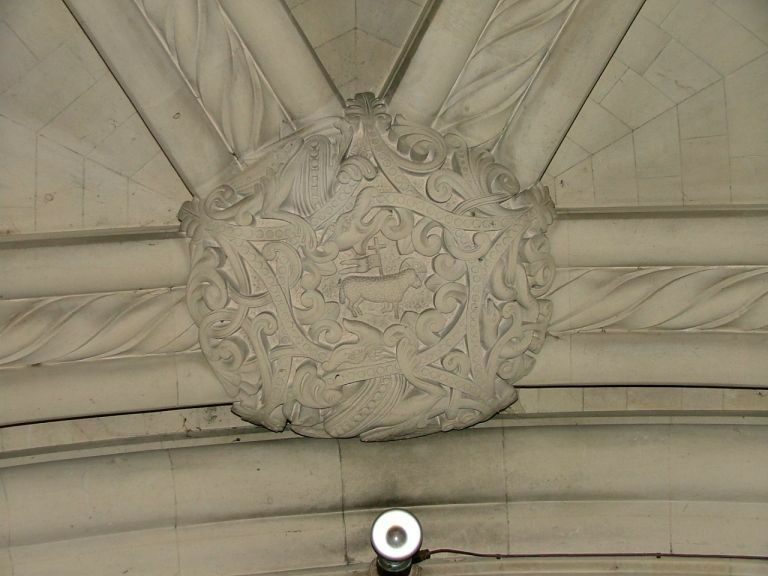 This is another illusion, for they are actually the work of that 19th century master craftsman James Rattee. 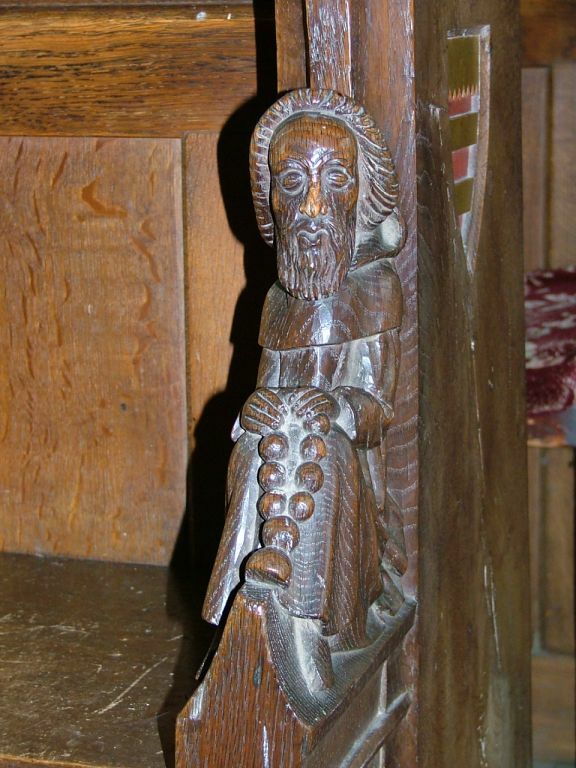 My favourites are the man telling his rosary beads - he looks disconcertingly like my friend Aidan Semmens - and the pig-in-a-wig with a centre parting, as if he was going on a date in the 1950s. 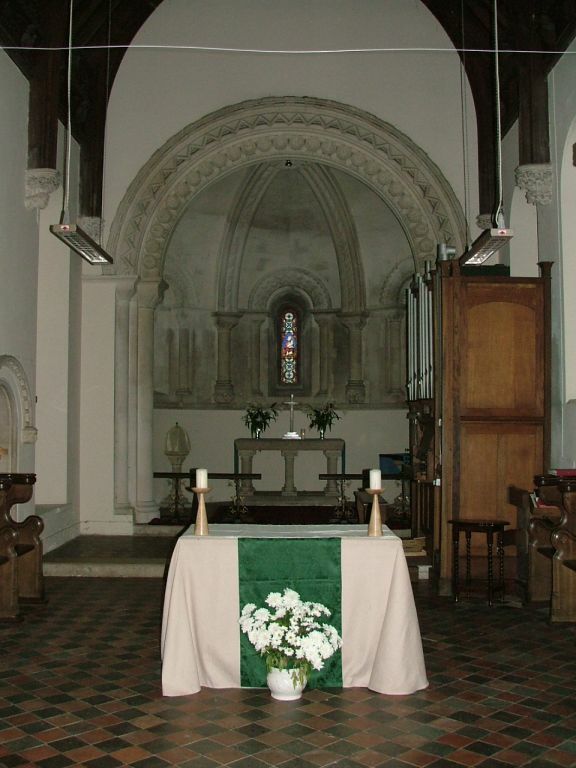 The juxtaposition of the chancel arch with the arch into the apse is very clever, giving, as I say, the illusion of a crossing beneath a central tower like the one at Newton by Castle Acre. 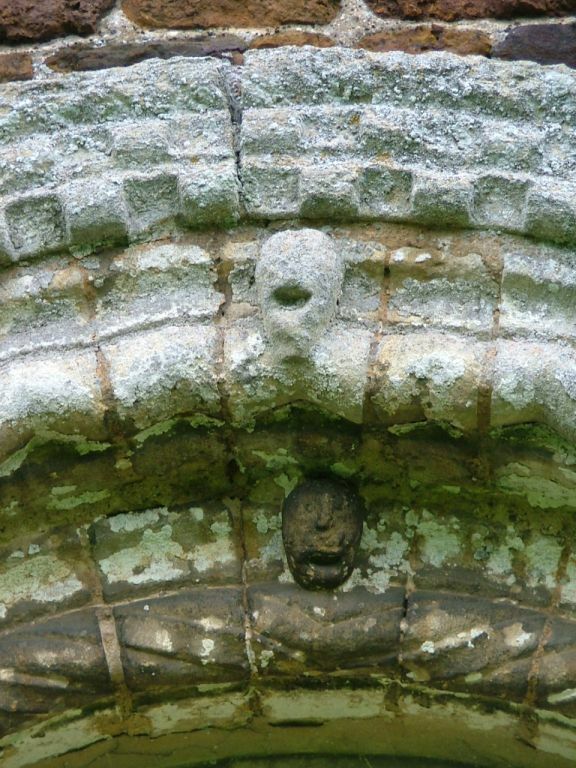 The glass is okay, but the best thing here is the boss, high up on the apse, very much in the 14th century style and similar to those in the vaulting at Wymondham Abbey. 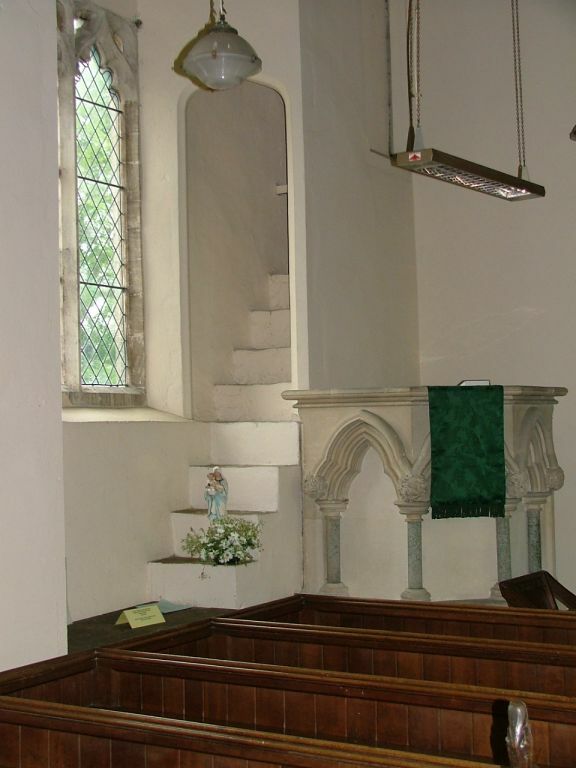 The stone pulpit is rather less good, detracting as it does from the intriguing roodloft stairs, which rise up from a window embrasure through the thickness of the Norman walls. 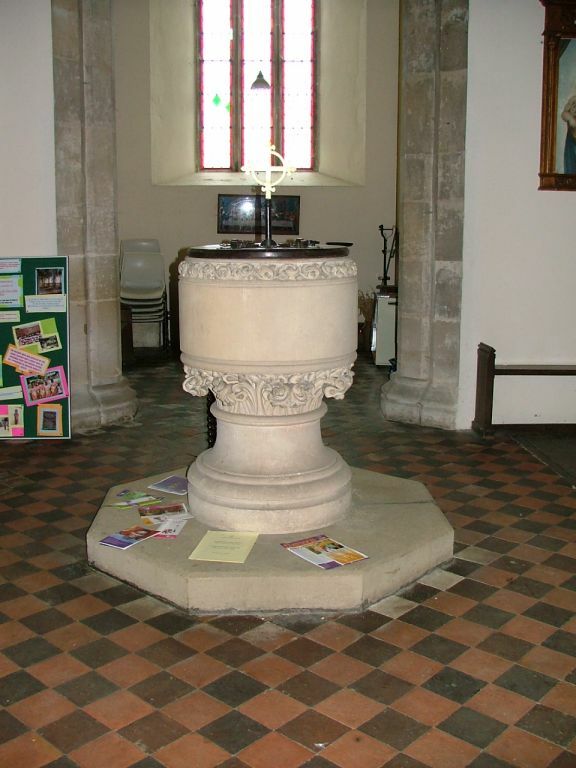 Echoing it, across the nave is an impressive piscina, which must surely be a fairly severe 19th century recutting, if not a complete confection. 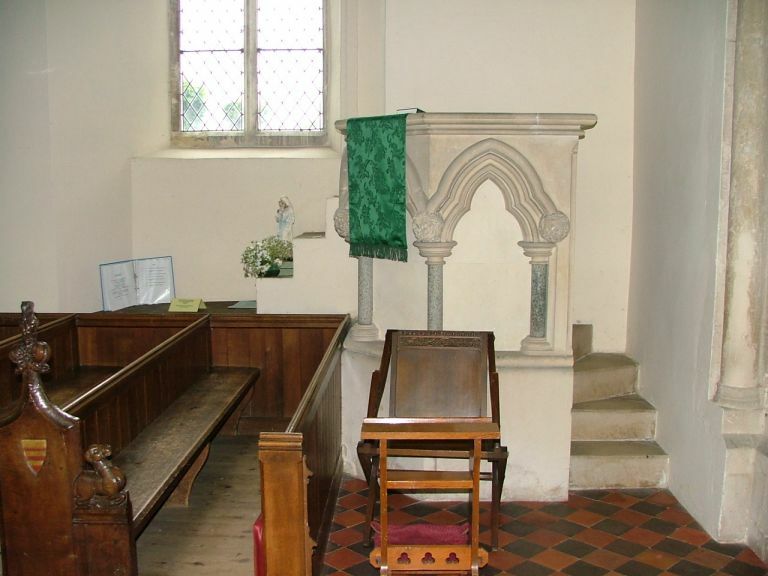 After all, as the crossing and the bench ends show, the Victorians were extremely clever here at Wimbotsham, and I am inclined to trust nothing as being what it seems, except perhaps the simple and pleasant beauty of this well-loved and cared for space.